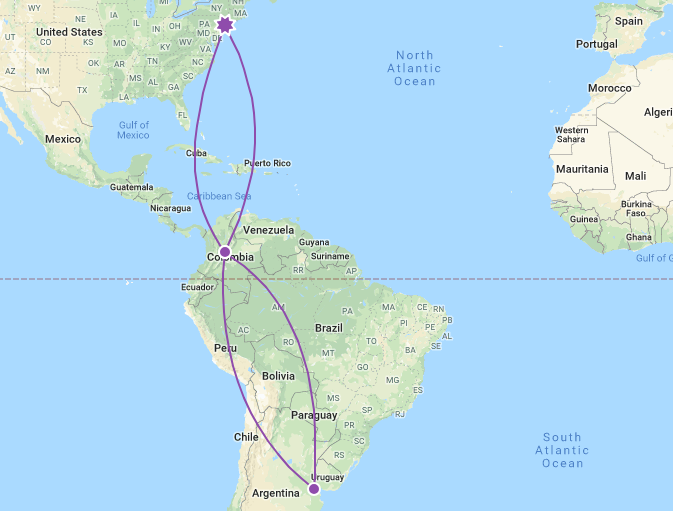 Today’s Airfare of the Day goes to Avianca and their business class restricted round trip fares between New York and Buenos Aires. In case you missed it, you can check my review on Avianca’s B787-8 Business Class product here. 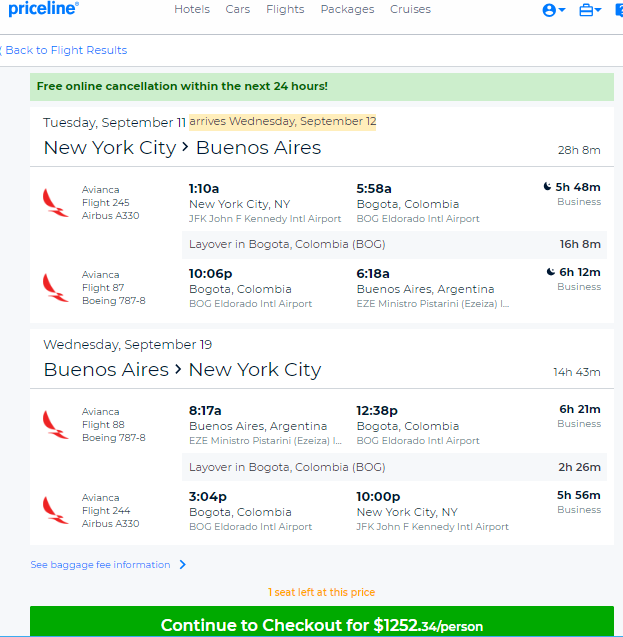 Fare: Avianca (AV) DEA00TIS NYC to BUE. 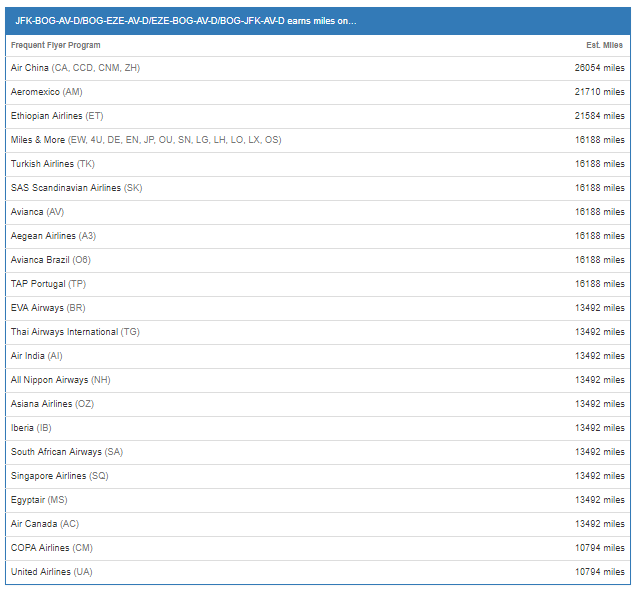 Price: from $1,254 (from $1,180 Base Fare + Taxes & Surcharges). Flight restrictions: the fare component must not be on av flights 398 through 399. Advanced reservation/Ticketing restrictions: reservations are required for each sector. Minimum stay requirements: travel from last stopover must commence no earlier than 3 days after departure of the first international sector or – travel from turnaround must commence no earlier than the first sun after departure of the first international sector. Maximum stay requirements: travel from last international stopover must commence no later than 365 days after departure from fare origin. Stopovers: 2 stopovers permitted on the pricing unit limited to 1 free and 1 at USD 65.00. Sales restrictions: tickets must be issued on AV. Cancellations: charge USD 175.00 for refund. Changes: charge USD 300.00 for reissue/revalidation. The following accruals were estimated using wheretocredit calculator for JFK-BOG-EZE round trip travel on AV marketed and operated flights without considering any elite status bonuses or ongoing promotions.